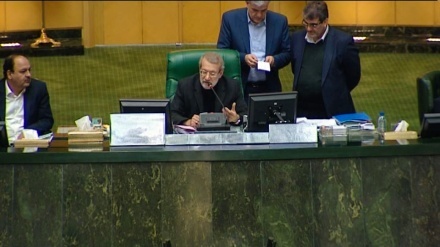 Iran Press/Iran News: The Speaker of the parliament (Majlis) Ali Larijani started his remarks by expressing condolences to all Muslims and the Iranian nation on the occasion of the martyrdom of the tenth infallible successor to the Holy Prophet of Islam, Imam Ali al-Naghi (also known as Imam Hadi peace be upon him). (1) Review of a report by the combined committee of the Majlis regarding the 2019 Budget. 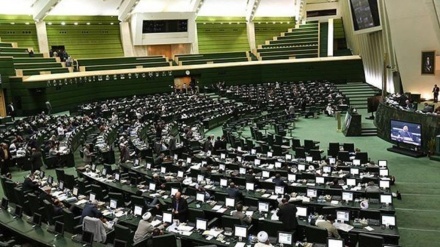 (2) Review of a report by the domestic affairs committee of the Majlis in connection to reform and amendment of legislation governing parliamentary elections of the Islamic Consultative Assembly (Majlis). (3) Review of a report by the social committee of the Majlis regarding an extension to the trial period of legislation to combat corruption, and promote a more transparent and healthy administration of the country. (4) Review of the joint committee's report for an amendment to legislation for managing national services and amenities. (5) Review of a report by the agriculture, water, and natural resources committee of the Majlis regarding failure to implement legislation requiring government purchase of all essential agricultural produce. (6) Review of a report by the agriculture, water, and natural resources committee of the Majlis regarding proposed legislation to protect soil from erosion. 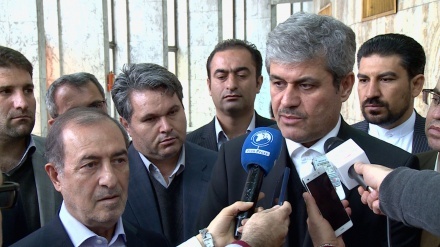 (7) The assignment of one MP to each Supreme Council for Coordination of Traffick in different municipalities throughout the country.